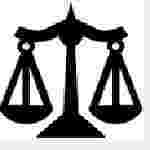 Punjab Haryana High Court Stenographer recruitment 2016-17 apply for 04 posts : High Court of Punjab and Haryana at Chandigarh welcomes application for the position of 04 Stenographer – II in subordinate courts of Punjab and Haryana by way of district recruitment. Candidates who completed their Bachelor of arts, bachelor of science is a good opportunity.The individuals who are the occupation seekers searching for govt employments in Haryana, Punjab this is the best chance to apply. Competitors read the official notification then read all the guidelines and miners precisely then apply before the last date online application got. All the interested and eligible candidates can apply online before 21st August 2016. Academic Qualification Details: Candidates should have bachelor of arts or bachelor of science or equivalent thereto from a recognized university and must have proficiency in operation of compulsory (Word processing and spread sheets).